Item description: Letter, 26 September 1862, from Thomas I. Lenoir to his wife Lizzie. 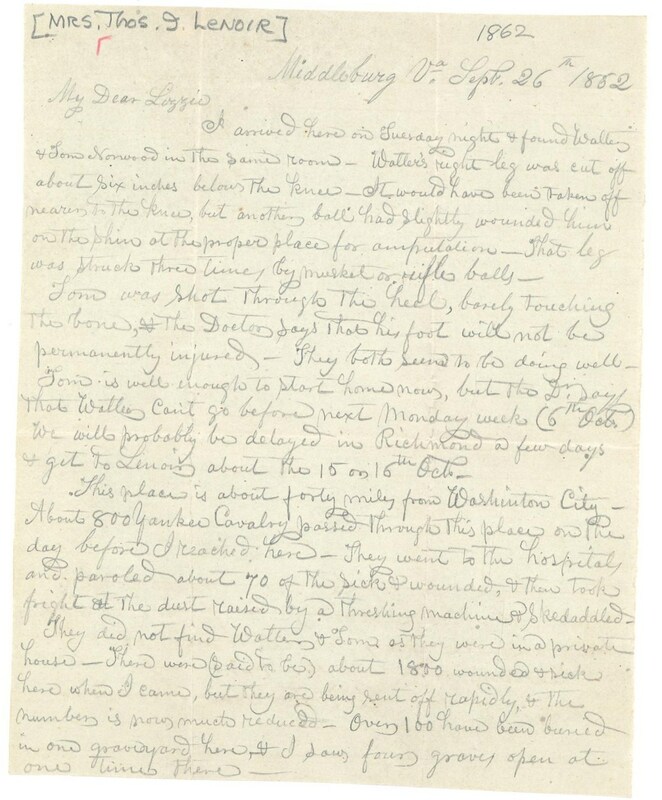 Lenoir writes of visiting his brother Walter Lenoir and nephew Tom Norwood, both wounded at the Second Battle of Bull Run. Item citation: From the Lenoir Family Papers #426, Southern Historical Collection, Wilson Library, University of North Carolina at Chapel Hill. 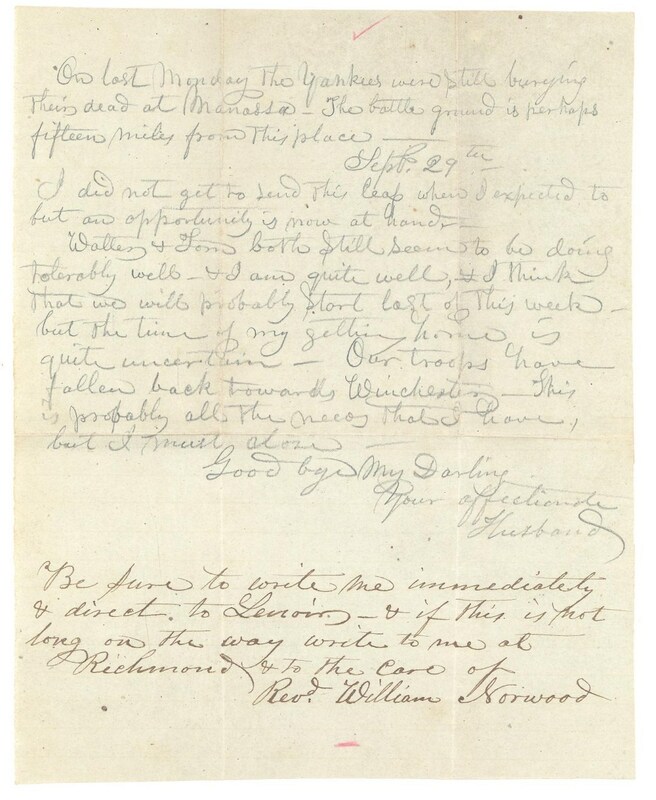 This entry was posted in Southern Historical Collection and tagged amputations, casualties, Lenoir family, Second Battle of Bull Run, Second Battle of Manassas, Thomas Isaac Lenoir, Thomas Norwood, Virginia, Walter Waightstill Lenoir. Bookmark the permalink.